The Karakalpaks ("Kara" meaning black, and "Kalpak" meaning hat) live primarily in northwestern Uzbekistan with smaller populations in Turkey, Iran and other central Asian countries. The Karakalpaks emerged as a confederation of tribes at some time in the 15th or 16th centuries. They are genetically highly heterogeneous. During the 1500s, they became virtually independent, although definitely not united. Unfortunately, their independence was short lived. Over the next 200 years, they became subjects of the Dzungarians, the Bukharans, and the Kazaks. The Dzungarians forced them to flee in two directions. One group, the upper Karakalpaks, went up the Syr Darya River to the Ferghana Basin. The second, the lower Karakalpaks, moved closer to the Aral Sea. Before the Russian Revolution of 1917, the Karakalpaks were a loose alliance of semi-nomadic tribes. However, in the 1920s, the Karakalpak republic was established in Uzbekistan. 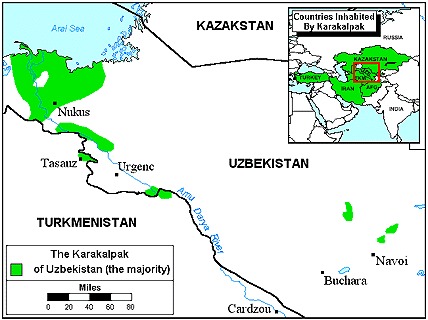 The Karakalpak republic in Uzbekistan is a combination of the old Khivan Khanate and the Khorezm People's Republic. This region is extremely dry and rarely receives more than 4.5 inches of rain a year. The Karakalpak tribes are divided into clans called uru. The uru are further sub-divided into family groups called koshes. The members of a koshe are the descendants of a common male ancestor. They share land and are extremely loyal to each other. 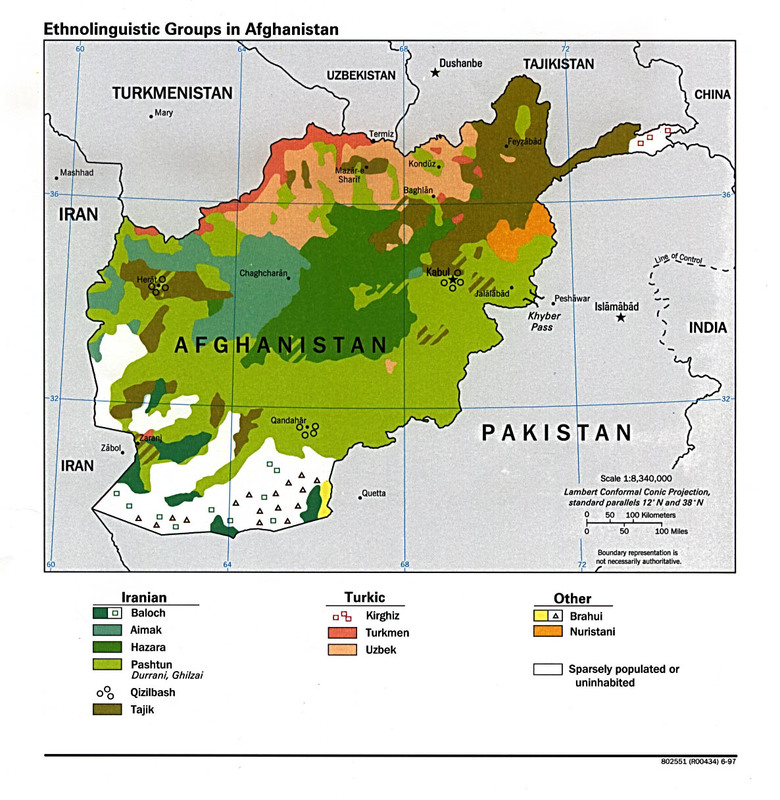 The Karakalpak language is divided into two dialects: northeastern, which is very similar to Kazak, and southwestern, which is more similar to Uzbek. Their language had no written script until 1930. Agriculture dominates the Karakalpak economy. Most of the farm land is irrigated by water from the Amu Darya River. In Uzbekistan, cotton is the major crop, accounting for much of the farm land and nearly all of the country's income. Feed crops such as alfalfa compose nearly one-fourth of the sown area. The farmers also raise livestock for meat. Approximately half of their herds are sheep and goats. For several decades the Soviet government diverted water from the tributaries of the Aral Sea and used it to irrigate the region's cotton fields. As a result, the sea has shrunk considerably. Consequently, the water that does reach the sea is usually filled with fertilizer, sewage, and pesticides. Today, most Karakalpaks live along the major rivers and irrigation channels. Some reside along the main railroad line, while others live along the old shoreline of the Aral Sea. Most Karakalpaks live in single story houses with concrete or wooden floors, the rest live in Soviet style apartment blocks. Karakalpaks living in cities or towns engage in light industrial activities. The Karakalpaks are generally poor and unemployment is high, but people do what they can to make a living, working on their vegetable plots and gardens, fishing, selling at markets, raising some livestock, doing casual or seasonal jobs, etc. There is no social security system, just a network of local makankenes committees who can provide temporary support for the really destitute. Karakalpak societies are patrilineal, which means that the line of descent is traced through the males. Large families are the ideal, and the nuclear family is composed of as many as four generations in the same household. The Karakalpaks believe that families who share meals together will stay very close. The majority of Karakalpak boys and girls receive schooling up to the age of 15 or 16. Although school attendances have fallen since independence, the great majority of both boys and girls are still enrolled in primary schools. Literacy rates are quite high. Many women hold senior positions in various walks of life. These are some of the positive legacies of the Soviet period. Karakalpaks were once known for their expertise in weaving. However the art of Karakalpak weaving died out in the 1940s. There are only a few dozen expert Karakalpak weavers remaining today. Karakalpaks adorn their homes and yurts (summer tents used by many of the rural people), with decorative carpets, wall hangings, macrame, and wide-fringed belts. They are also recognized for their excellence in work with leather, wood, and bone. Their music reflects an ancient oral tradition and the native songs are diverse in type and theme. The Karakalpaks are Sunni Muslims of the Hanafite branch. "Sunni," is derived from the Islamic term, sunnah, which means "well-trodden path." It is believed that the correct path is that of the majority. Therefore, the tradition of the Sunni is political conformism. The Karakalpak Republic is also one of the major centers for the Sufi sect of Islam. Some Sufi Muslims are known for practicing self-hypnosis which is induced by frenzied dancing and chanting. Health issues are a concern among the Karakalpak. The main causes of Karakalpak health problems are a combination of poverty and poor diet, the collapse of the former Soviet health system and the pollution of water supplies by herbicides and defoliants formerly used on the cotton crop. However there have been recent definite improvements in Karakalpak health care. Infant mortality, once a problem, has declined to approximately 1.8% (2003) thanks to many projects and initiatives and the trend continues downward. The incidence of certain diseases like tuberculosis, anaemia, thyroid ailments, and cancers is higher in the Aral delta than in other parts of Central Asia, but the trend is downward and encouraging. Very few Karakalpaks have ever heard the Gospel of Jesus Christ; and among those who have heard, very few have responded. There are only a few reported church members in the republic. * Pray that the Lord will send Christian medical teams to work among the Karakalpaks. * Pray for a clean water source for the Karakalpaks. 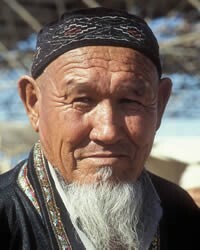 * Ask the Lord to call people who are willing to go to Uzbekistan and share Christ with the Karakalpaks. * Pray that the non-religious Karakalpaks will begin searching for the Truth. * Ask God to strengthen, encourage, and protect the few known Christians and for the Lord to raise up strong local churches among the Karakalpak. * Pray that these believers will have opportunities to share the Gospel with their own people. * Ask the Holy Spirit to soften the hearts of the Karakalpaks towards Christians so that they will be receptive to the Gospel.View Karakalpak in all countries.